My name is Angelique. I have a beautiful friend named Leeanne Gatien who has experienced what can only be described as a terrible, and heartbreaking tragedy. One year ago on the 29th of November, Lee's husband, Mark Gunter lost his short and very brave battle with Cancer. He was 41 (and very handsome, as Lee likes to remind me). For those that don't know Mark - he was an accomplished and respected cycling photographer, and an extremely kind, loving, and gentle person. He had an incredible knack at making everyone he met feel at ease - even those of us who are somewhat socially awkward (**cough**, me). Together, he and Lee made a terrific team. Mark adored her, and she became his muse. It was beautiful to watch, and the million stunning and candid photographs he snapped of her are a lovely testament to this. Theirs is a good ol love story. They fell in love in 2010, married in 2013, and on 26 August 2014 they welcomed a beautiful boy into the world and named him Lucas. Spend five minutes with Lucas and you agree he clearly inherited the beautiful / kind / sweet / loving genes from both his parents. 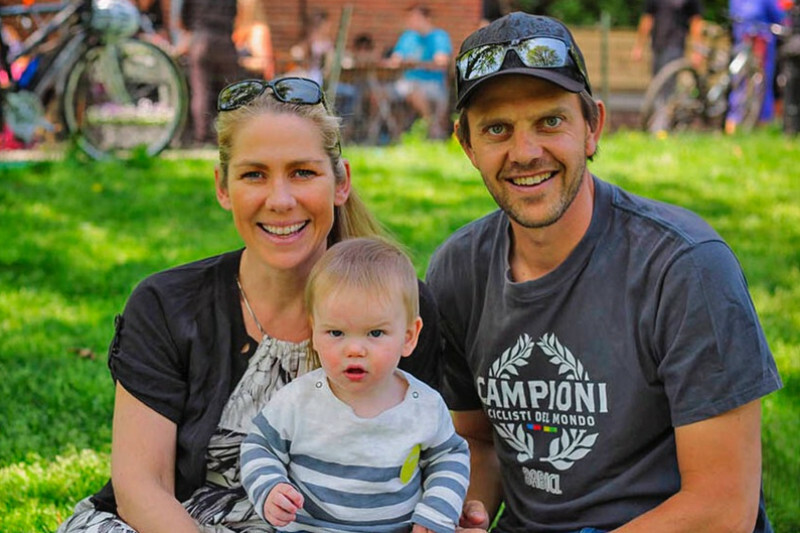 Not long after Lucas was born, Lee had an exciting career opportunity in New York, and she, Mark and Lucas packed up their life in Australia for what was meant to be a great life adventure. Mark happily gave up his successful photographic career to be Lucas's primary carer aka 'Mr Mom' in their new city. He cherished this role and documented their quality time together in many beautiful photographs. Things were good. Then, the unthinkable and very unexpected happened. 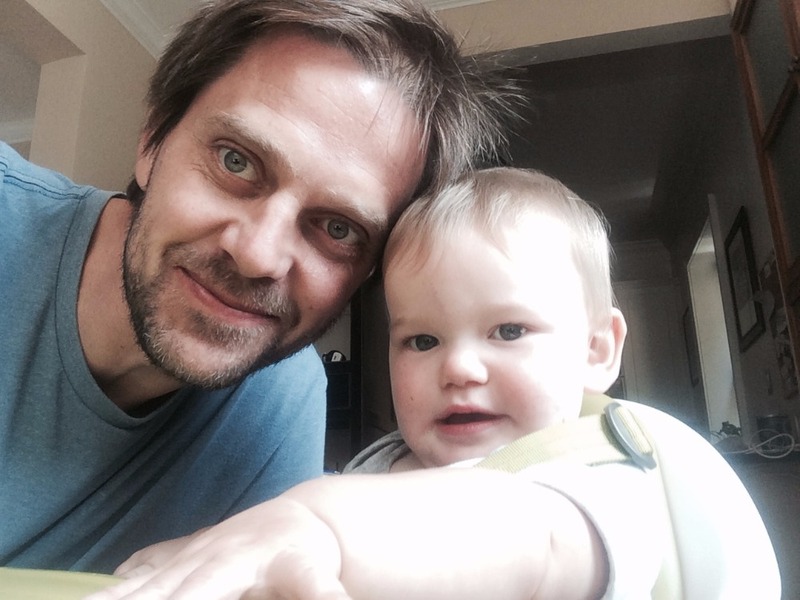 Mark was diagnosed with Stage 4 oesophageal cancer. He had been feeling a 'bit tired' and had lost a bit of weight, but it was easy to chalk this up to the impact of his new lifestyle caring for a lively toddler, walking everywhere and carrying groceries up multiple flights of stairs. It was Lee who insisted that he see a GP and get a blood test to check if everything was okay. She could never have anticipated that within 7 days of this initial appointment, on the 5th August she and Mark would be delivered the earth shattering news of Mark's diagnosis. Those 7 days were filled with multiple tests (blood, scan, endosopy), confusing and frustrating conversations with medical staff, and naturally a lot of shock. He was to start Chemo the following week. Mark decided he wanted to fly home to Australia for his treatment and to be close to family and friends, so they packed up and left the States. They landed back home on Aug 9 and Mark started Chemo treatment on Aug 25. There were more tests, and a further diagnosis confirming Leptomeningeal disease - the spread of the cancer cells to the Cerebral Spinal Fluid, which covers both the brain and the spine, with a life expectancy of 4 to 6 weeks. The outlook was very bleak, and Lee immersed herself in as much information about this insidious disease as possible, while managing Marks varied medical appointments, medications and general care. Meanwhile, Mark's biggest concern was that Lucas was going to grow up without a dad. On November 29, 2015, just 116 days from diagnosis, Mark passed away. He was at home (his request after a stint in hospital) and was lovingly nursed in his final days by his beautiful Wife Lee with the help of family and friends. (**wipes tears**) Now, to the part where I tell you what this gofundme is about. Lee is an amazing mother. She is selfless, silly, caring, loving etc and Lucas is thriving as a result of her ability to make sure his world is good. She has some wonderful support from her Parents and other family and friends, but for the most part she is doing this alone, and 100% without complaint. However, what I know is that after the expense of moving to the US (they sold EVERYTHING), then moving back (She had to purchase EVERYTHING again) on top of Mark's medical expences and Lee needing to give up work to care for Lucas - things are getting financially tough and it would be good if together, we could help make things a bit easier for them in the future. I know this time of year can be expensive, but If you would like to contribute, Lee & Lucas - and Mark - would be eternally grateful. If you are unable, that's ok too. Lee is very appreciative of the emotional support she has received from family, friends and acquaintances, many whom have reached out over the last year to offer their condolences. Angelique (Lee's Friend who wants to make things better for her but doesn't really know how). PS. If you'd like to see some of Mark's photography you can view his portfolio in the link below.